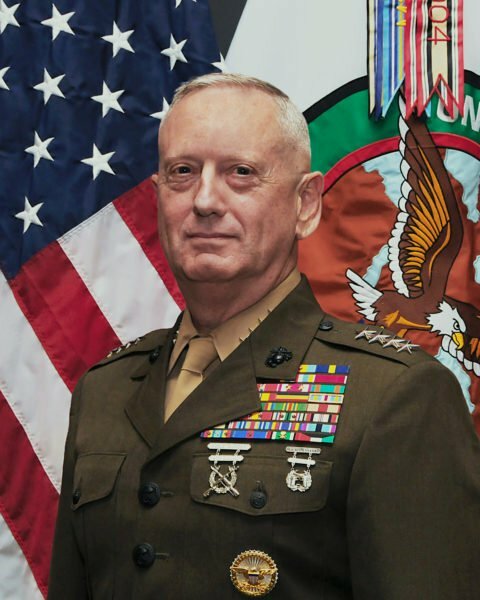 Donald Trump has appointed General James “Mad Dog” Mattis, a former marine who served in Iraq and Afghanistan, as his defense secretary. “He’s our best,” the president-elect said, as he announced his pick in a speech in Ohio. The 66-year-old, who is known as “Mad Dog”, was an outspoken critic of the Obama administration’s Middle East policy, particularly on Iran. He has referred to Iran as “the single most enduring threat to stability and peace in the Middle East”. Donald Trump made the announcement in Cincinnati at the start of a “USA Thank You Tour 2016” for his supporters. “We are going to appoint <<Mad Dog>> Mattis as our secretary of defense,” he told the crowd. Donald Trump has previously described James Mattis as “a true general’s general”. The retired Marine Corps officer led an assault battalion during the first Gulf war in 1991 and commanded a task force into southern Afghanistan in 2001. Gen. James Mattis also took part in the invasion of Iraq in 2003 and played a key role a year later in the battle of Fallujah against Iraqi insurgents. He retired in 2013 after serving as the commander of the US Central Command. Correspondents say his nomination will be popular among US forces. Gen. James Mattis also received the backing of Senator John McCain, chairman of the armed services committee, who will conduct his confirmation hearing. “He is without a doubt one of the finest military officers of his generation and an extraordinary leader who inspires a rare and special admiration of his troops,” John McCain said in a statement. However, a legal hurdle must be overcome before he can be appointed. Under US law, a retired officer must be out of uniform for at least seven years before he or she can serve as defense secretary. Republican-controlled Congress will have to approve legislation bypassing the requirement so Gen. Mattis can take up the role.